The third summit between the leaders of North and South Korea last month was a huge accomplishment for Moon Jae-in and Kim Jong-un. At home, Moon’s approval rating shot up from 49% in early September to 65% a week after the summit, largely due to his successful efforts to jump start the denuclearisation process with Pyongyang. Kim got the chance to publicise his economy-focused “new strategic line” to the world through North Korea’s Arirang Mass Games, and created an image of peace with Moon thanks to the signing of a military agreement that would decrease forces along the inter-Korean border. North Korea’s nuclear weapons have bestowed upon the country a reputation and leverage disproportional to its underdeveloped economy. North Korea also agreed to demolish its missile test facility in Dongchang-ri under the supervision of outside inspectors, and said if Washington could take “corresponding” steps, the North would in return dismantle its Yongbyon nuclear complex. These understandings helped lay the foundation for US Secretary of State Mike Pompeo’s visit to Pyongyang to prepare for the second Trump-Kim summit. It is likely that President Donald Trump will once again meet with Kim within the next two months, sometime after the US midterm elections in November. The fact that Trump has agreed to meet with Kim for the second time is a welcome sign after the failure of the Singapore summit and the subsequent quarrel between the two sides over the definition of concessions. However, it is important to note that together with the hype for the second summit, there is always an inherent dilemma in any highly publicised denuclearisation negotiations with North Korea. That is, the more attention the world pays to Pyongyang’s nuclear arsenal, the fewer incentives it has to actually give up its weapons. Thanks to the relentless pursuit of a nuclear capability, North Korea’s nuclear weapons have bestowed upon the country a reputation and leverage disproportional to its underdeveloped economy. 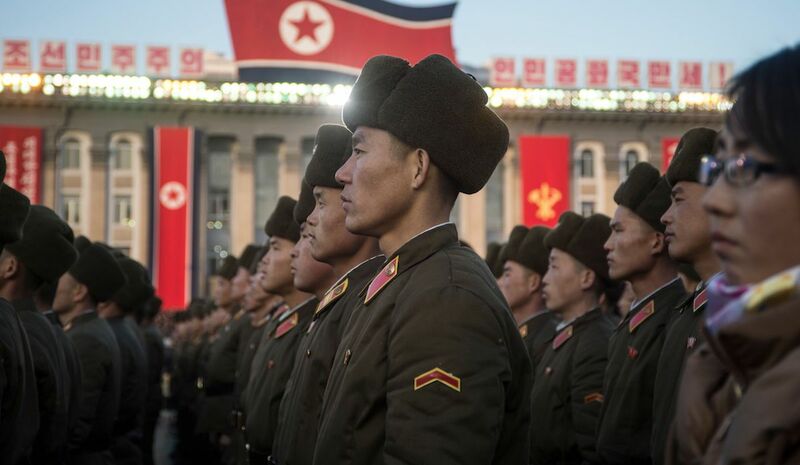 From a country that was predicted to collapse after the Cold War, Pyongyang’s nuclear program seen the country gain economic assistance and security guarantees from the US and South Korea. North Korea’s reliance on “existential deterrence”, having a small but undisclosed nuclear and missile capability, has forced the US and South Korea to treat the North seriously. This advantage has given Pyongyang the ability to reap great benefits from arms control negotiations, most notably the Agreed Framework and the Six-Party Talks, without having to commit to any promises it has made. Since no US president would publicly accept a nuclear North Korea, Washington may continue pursuing Complete, Verifiable, and Irreversible Disarmament (CVID) in blind faith to preserve its commitment to a global nonproliferation regime. North Korea understands that weakness well; as a result, it has been trying to drag the denuclearisation process as long as possible to encourage the US to talk for the sake of talking. This means that what is currently seen as progress with North Korea may simply be part of Pyongyang’s long-term strategy to create a false image of positive developments in the denuclearisation process. Indeed, the North has attempted to sell the same horse twice when it pledged to dismantle its Dongchang-ri missile test site, which in fact is another name of the Sohae facility that was to be scrapped after the June summit. Trump’s second summit with Kim may only exacerbate the arms control dilemma. Before the first summit, Trump promised to totally and immediately denuclearise North Korea. Unfortunately, the Singapore Joint Declaration only committed the North to a vague disarmament pledge after the establishment of new US-North Korea relations and a peace regime on the peninsula. Now that Trump has relaxed his CVID rhetoric, saying that Washington no longer had a timeline for denuclearisation, it is even less likely for the two leaders will sign a significant arms control agreement during the second summit. More dangerously, Trump may attempt to declare an end to the Korean War to increase the coverage of the event, without thinking about the consequences of such a move for the presence of US troops on South Korean soil. It is instead time for the US to recognise North Korea as a de facto nuclear power and engage in only ministerial-level dialogues, to avoid giving Pyongyang too much global attention. The presidential-level summit so far has not persuaded Pyongyang to make verifiable and irreversible concessions, while another summit of that scale would rationalise its pursuit of the nuclear capability in the first place. Acknowledging North Korea as a nuclear power does not spell the end of the US-led nonproliferation regime, but it will help the US to work with North Korea from a more realistic standpoint. Future dialogues can still aim at gradual freezing of the North’s nuclear weapons and implementing sanctions relief in proportional to the value of Pyongyang’s concessions. From now to December, the two Koreas will try hard to lobby for the second Trump-Kim summit. Nevertheless, before raising any hopes for that event, it is important to remember that the arms control dilemma will limit any denuclearisation deals with North Korea.